Out of the front, or OTF, knives are knives with retractable blades that pop out the front end of the handle. Its mechanism is triggered via the small knob at the top side portion of the handle (http://www.menseffects.com/ProductDetails.asp?ProductCode=ATT00467&Click=16343). There is a wide variety of brands of out the front knives (OTFs); however, the majority of the said knives are automatic. The difference is that they pop out after being triggered at the push of a button. The mechanism is spring assisted to provide the propelling upward or outward force required to expel the blade from out of the handle. This takes away the need to manually take out or pull out the blade, as compared to knives with their blades passing through the sides of the handle. Single action OTFs – the automatic mechanism only automates the knife during the opening or exposing of the blade. However, the blade has to be manually returned, pushed, or retracted in order for it to be triggered once more. Double action OTFs– the automatic mechanism automates both the opening and retracting of the blade. Exposing and hiding the knife are triggered by a push button mechanism. OTFs may be solely handheld structured. Others may also have a slide-on clip for easy carriage during hiking or mountain trailing activities. They also have a variety of accessories such as pouches for easy storage. For some women, they even line the handle out with diamonds or beads to look more feminine. However, with or without the feminine touch, these bad boys are surely going to give you a level up on hand to hand combat with their accuracy and durability, although such OTF knives are not always legal; it’s best to check the laws in your state regarding the carriage and use of OTF automatic knives. - These knives have a high penetrating force. You need not worry about the knife’s blade sliding back in once used on solid objects. This also avoids accidents upon usage as compared with slide-out knives. - The pop-in and pop-out mechanism has adequate propelling force to ensure a quick action, depending on the urgency of need as well. - They have high standard construction. This makes the money you spend worth it. Its construction is intended to last easy wear and tear especially throughout continued usage. - These knives have a good style and finish for both the blades and the handle. 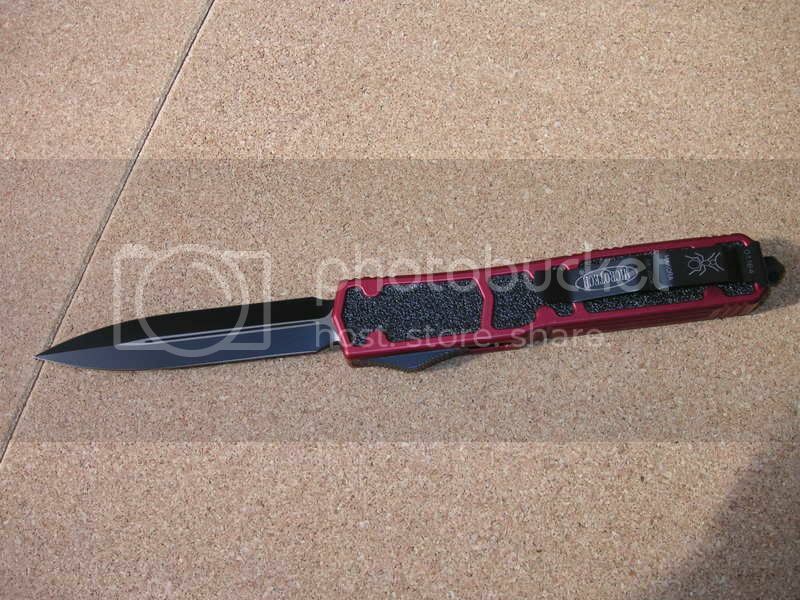 These knives may be high end knives such as those that we see in movies during action scenes with spies and tactical army men missions. However, they come at a very reasonable price starting at a low price of $15 on amazon.com. However, let us also take a peak about the legalities of these knives. It is also wise to know whether they are allowed to be hand carried or even possessed by a mere civilian. Therefore, the carrying and possession of knives in public is forbidden by law in many countries. Exceptions are the hunting and pocket knives, all of which are for work-related usage. After knowing where to get your very own out the front knife, you need to know what to choose. What features would best be that of your very own OTF. You may consider the following OTFs in this picture (http://www.knifeblog.com/wp-content/uploads/2011/03/microtechOTFnamed.jpg). - This is the most compact OTF. - This knife is double action. This information will help you have a picture of what an OTF looks like reality even without actually seeing one. Now that we have discussed all details you will need in order to recognize an OTF, choose an OTF, and where to get ready made or customized OTFs, the choice is now yours. You may see your friends and officemates having their very own OTF; however, you still have every detail you need to make sure that your OTF will surely be ahead of the pack. With OTFs, you already get style, ease of carry, elegance, quality, and innovation in one.